You may have noticed we have a new tab on our website titled ‘Care Hub’! 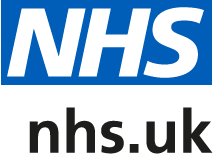 Care Hub is a brand new directory of local non-NHS services and providers that you as patients can access to find local services. You can find information on a range of topics to support you to live well including health support, financial aid, volunteering, arts, activities and social groups. You can start using Care Hub straight away, simply click on the Care Hub tab and use the categories to narrow down what you are looking for!